Bassist/composer Mark Helias is seen regularly at venues in New York City ranging from The 55 Bar to Carnegie Hall. After his studies with Homer Mensch at Rutgers University and Yale School of Music, he embarked on an international performance career with the Anthony Braxton quartet in 1977. Since then he has enjoyed long musical associations with Edward Blackwell, Anthony Davis, Dewey Redman, Ray Anderson, Don Cherry and Gerry Hemingway. Ten albums of his music have been released since 1984, including “Split Image” , “The Current Set” (1987), “Desert Blue” (1989) “Attack The Future”, (1992) “Loopin’ the Cool” (1995), “Fictionary” (1998), “Come Ahead Back” (1998) “New School” (2001). “Verbs of Will” (2004), and the newly released, “Atomic Clock”,(2006). A prolific composer, Helias has composed music for two feature films as well as chamber pieces and works for large ensemble and big band. He has been producing recordings for other artists on the Gramavision, Enja, New World, Sound Aspects, and Avant/DIW labels. His trio, Open Loose with Tony Malaby and Tom Rainey, has become an archetypal improvising ensemble on the New York scene. Mr. Helias performs solo bass concerts and can also be heard in the innovative bass duo, “The Marks Brothers”, with fellow bassist Mark Dresser. He teaches at Sarah Lawrence College, The New School and SIM (School for Improvised Music) and is committed to broadening the scope of musical education. "This is a really strong free-jazz date from some of my favorite players on the New York scene. The music maintains an incredible energy and vitality throughout, whether they’re playing with or without time and harmony. You just get the feeling that you’re in the hands of pros when listening to this album; these guys know exactly what they’re doing and they’re damn good at doing it. The matching of the players is also right on. It's especially nice to hear how well Malaby and Eskelin compliment each other on the latter's guest track. A highly recommended date for all fans of innovative modern jazz." 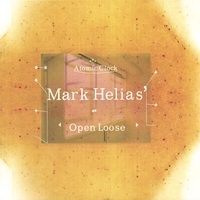 Helias's discography is a who's who of modern jazz and improvisation: Michael Moore, Evo Perlman, Oliver Lake, Yusef Lateef, Gerry Hemingway, Dennis Gonzalez, Marty Ehrlich, Anthony Braxton, Marilyn Crispellm Bobby Previte, &c, &c. Open Loose is his trio, and this is their fourth release under that name. Joined by Ellery Eskelin on one track ("Modern Scag") this is incredibly creative music that shifts from tight rapid playing to beautiful ballad work using modern playing and compositional techniques. Released on Helias' own Radio Legs Music label this is an excellent set of original compositions.